Inside the legendary House on the Rock along Highway 23 south of Spring Green, Wisconsin, you’ll find the World’s Largest Carousel. This amazing, dizzying display of lights, animals, figurines and more sits inside one of the House on the Rock buildings. 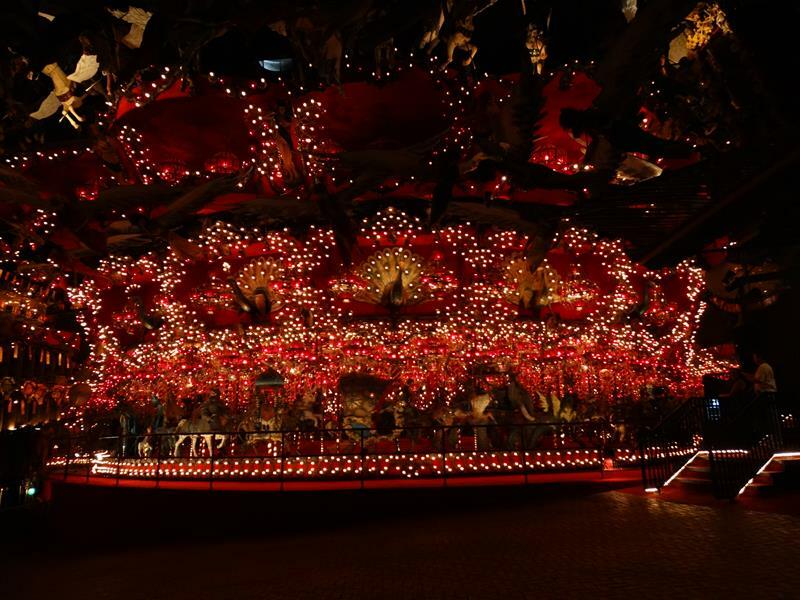 This carousel, replete with music similar to the tunes emanating from so many other instruments in this dazzling attraction, features over 20,000 lights; 182 chandeliers; and 269 animals – ironically, not one of them is a horse. Making its debut in 1981, the World’s Largest Carousel measures 80 feet in diameter, is 35 feet high, and weights 36 tons! No, you can’t ride it.